No user can afford to ignore the issue of operating costs: the longer and more intensively pumps are used, the more expensive the dewatering process. The fundamental problem faced by the construction and gardening/landscape gardening sectors is that, as a result of the progress of the construction work and the weather conditions, water volumes are rarely regular. Nevertheless, even if water levels are moderate, the pump runs in an inefficient slurp mode. Once the level drops again, it runs dry – uselessly – until the user turns it off. There is a better way: To ensure that an unsupervised pump does not even get to the expensive stage of operating continuously, Tsurumi has begun equipping more and more models with a high performance level sensor. It switches the pump on and off again depending on the water level. It therefore only runs if required. 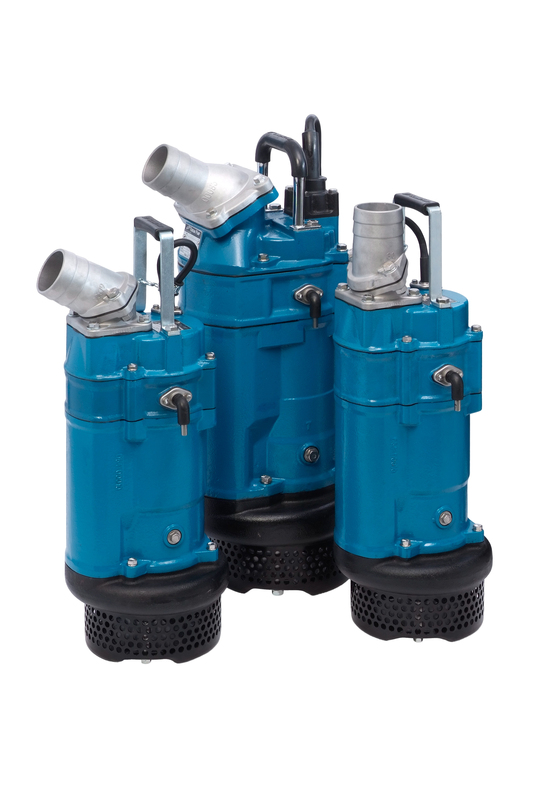 Depending on the motor size and water volume, significant power costs and machine operating time can be saved. Another benefit is that the pump can always lie in the pump sump ready for operation, like a quiet level monitor in case other measures have not been taken. Because even though a high volume of water appears unlikely, it cannot be completely ruled out. Tsurumi's sensor works without any moving parts. As an electron conductor, it is extremely reliable, in contrast to float switches and other systems. It is also maintenance-free and does not need to be adjusted. Another advantage is that the sensor cannot catch anywhere, nor does it protrude across the pump cross-section, which means that there are no problems in tight spaces. Models like the universal KTZE or the KTVE, which can also be installed permanently, are already equipped with the sensor. By the way: A pump that is operated on a needs-based approach makes an active contribution to environmental protection – especially if the energy is generated by a combustion motor generator on site. For more information, please visit Tsurumi.eu online or contact a dealer.